Richard Peretz has been promoted to the top finance spot at United Parcel Service, effective July 1. He takes over for Kurt Kuehn, who is retiring after heading finance since 2008. Peretz joined the company in 1981 while still in college and is now corporate controller and treasurer. Medical-device maker Globus Medical has named Daniel Scavilla to head finance, effective May 4. He arrives after 28 years at Johnson & Johnson, most recently as CFO, global vice president finance and business operations of the vision care division. Flowserve has selected Karyn Ovelmen to lead the finance function, effective June 1. She has been finance chief at LyondellBassell Industries since 2011. Jacky Wu has been promoted to the top finance spot at Comverse. He replaces Thomas Sabol, who will stay on with the firm as a consultant through July 1. Wu had been senior vice president of finance and treasury. Lee Enterprises has named Ronald Mayo CFO and treasurer. He takes over at the daily-newspaper owner for Carl Schmidt, who announced earlier this year that he would retire. Mayo joins the company from Halifax Media Group, where he also headed finance. 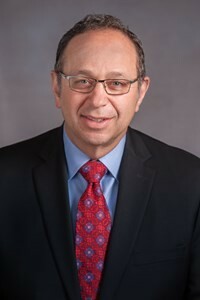 Household cleaning-products distributor Prestige Brands Holdings has promoted CFO Ron Lombardi to the posts of president and CEO, effective June 1. He succeeds Matthew Mannelly, who is retiring. A search for a new finance chief is under way. Richard Weller has been named to lead the finance function at Wesco Aircraft Holdings, effective May 4. He replaces Gregory Hann, who retired on March 31. K. Lynn Mackison, who had been acting CFO, will return to her post as global controller. Most recently, Weller was global controller at Ingersoll-Rand. Ignite Restaurant Group has promoted Brad Leist to the top finance spot, taking over for Michael Dixon. Leist, who has been at the firm since 2012, had been senior vice president of accounting and finance. Jeffrey Kreger has been appointed CFO and treasurer at home health-services provider BioScrip. Previously, he was senior vice president of finance at LHC Group. Craft Brew Alliance has named Joe Vanderstelt finance chief. Most recently, he was senior director, finance and planning, at MillerCoors.